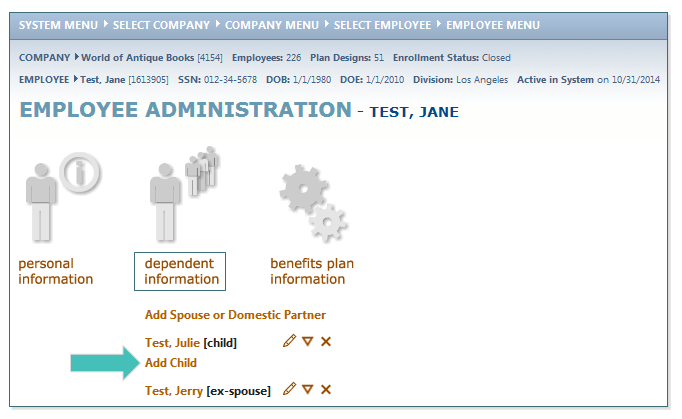 SEARCH for the employee whom you will be adding a new dependent. 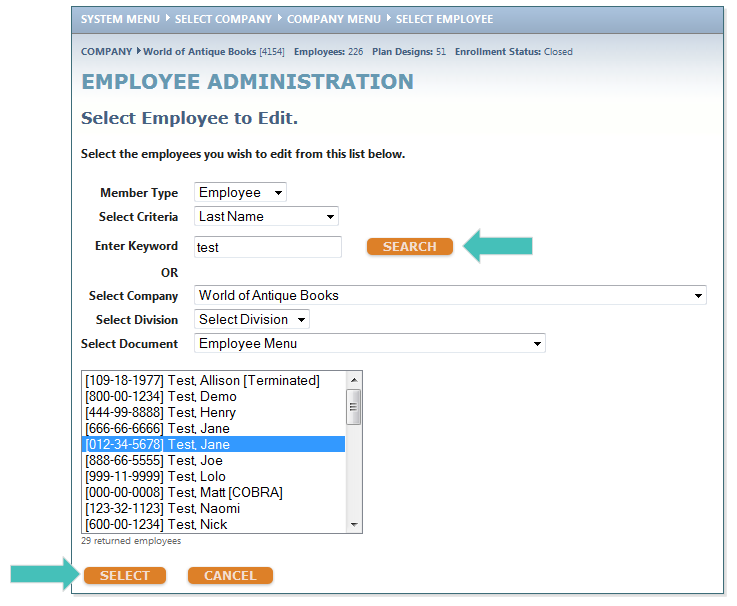 Click Dependent Information and then select Add Child. Enter the dependent’s information, being sure to complete all BOLDED fields. This will prompt a pop-up message to appear saying you are adding a Child Dependent. You will be prompted to make plan elections for this individual. Click OK. If the change occurs outside of the annual enrollment period, you will next see a pop-up message requesting that you select a Qualifying Event. Click OK.
On the Qualifying Event Information page, select the Qualifying Event that is applicable and then enter the Qualifying Date. In the case of a newborn child, the date of birth should be used here. Click CONTINUE. 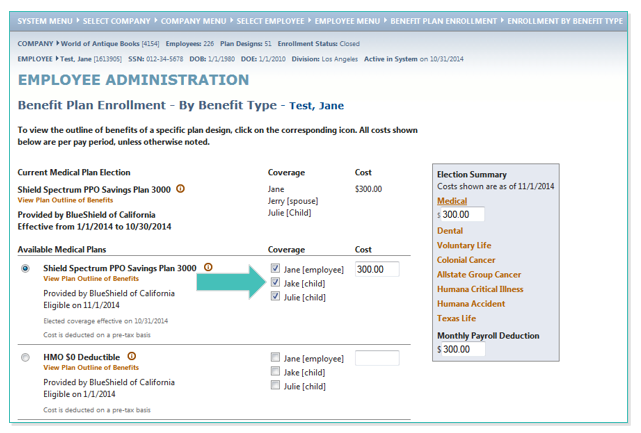 This will take you to the employee’s Benefit Plan Enrollment page. 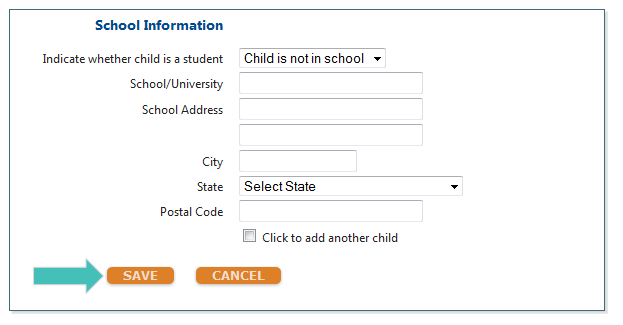 Next, click on the benefit in which you wish to enroll the child (in this example, Medical). Check the box next to the new child’s name under the appropriate plan. 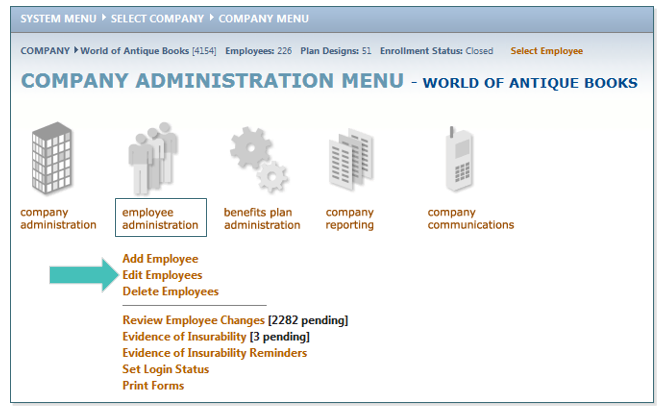 The Monthly Payroll Deductions will update automatically. The Effective Date for this new enrollment will prepopulate with the child’s date of birth and the Termination Date for past enrollment will prepopulate one day prior. Click SAVE. You will now return to the employee’s Benefit Plan Enrollment page. Repeat the enrollment process for each of the benefit types in which the child should be enrolled. 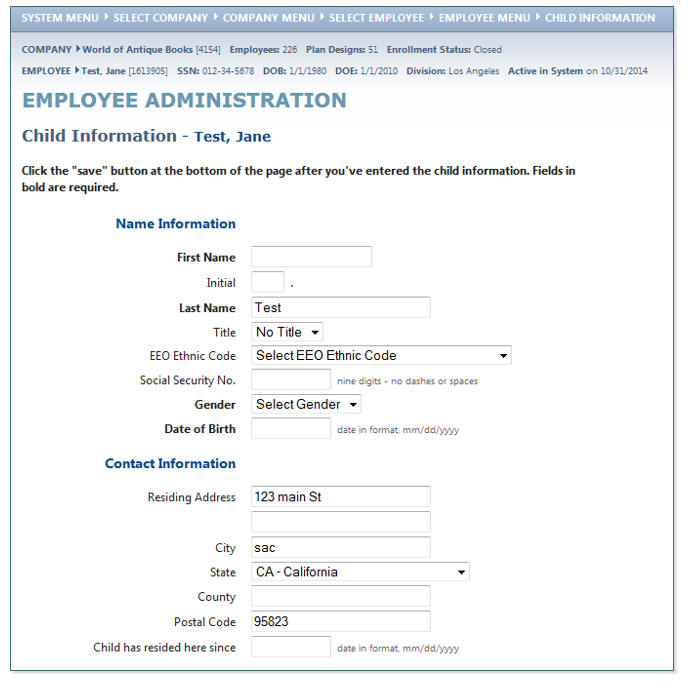 When done enrolling the child in benefits, click BACK and you will return to the Employee Administration page.